What have I been doing these thirteen days? 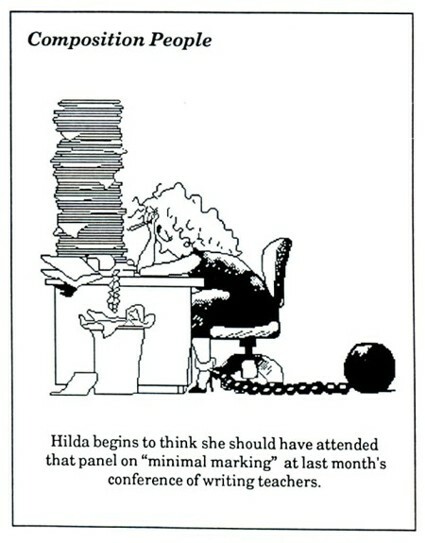 I'm glad I keep a day minder... shorthand for what has been going on. Without it, I simply don't remember. The University Commencement happened on May 12th... then I had until May 16th to get the grades in. As I previously noted, my cousin Barbie Higgins Guss died on May 10th, of Leukemia. The funeral was held on May 17. So I drove to West Chester on that Friday, and stayed there until Monday morning. I stayed with my childhood friend and her husband. I love to stay with them for many reasons. One reason is that they are both intense introverts... even more than I am. When I am there, I feel free to be with them or not to be with them; they have their own projects, and do not feel that they have to entertain me. I love this. They are avid backyard birders, too: watching the activity at the birdfeeding stations is infinitely more entertaining than television. 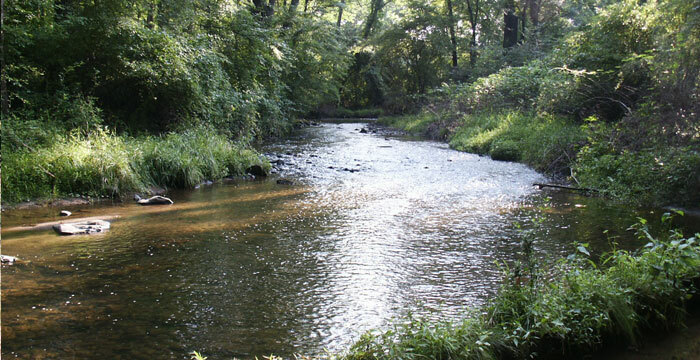 During the weekend, the "introvert" intervals were broken when my friend and I went birding at the Waterloo Mill Wildlife Area --- part of the Brandywine Conservancy, of which she is a member. We spent a wonderful several hours on Saturday there... lots of Orioles, Catbirds, and some warblers, and even a Pileated Woodpecker. On Sunday, we joined another friend and toured the Nemours Mansion and Gardens near Wilmington, Delaware. 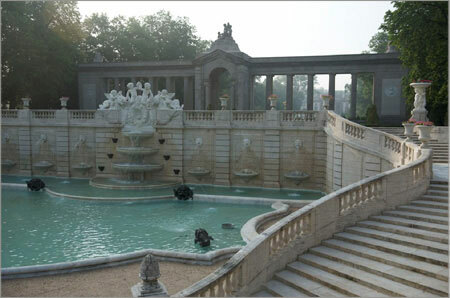 The mansion was opulent and breathtaking, but it was the gardens which really captivated me. Even in the heavy mist of the day, I could see that it was a place I have visited in dreams many times. On Monday morning, I took a leisurely drive home through the Pennsylvania Dutch country... many Amish buggies out and about. Ghostman, by Roger Hobbs. It is Hobbs' first novel, and it gripped me and wouldn't let go. I finished it this afternoon, which is why I have been freed to write here! It's a crime novel, but wonderfully detailed. I really liked the narrative voice - very detached, detailed, and interesting. 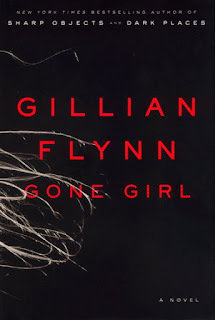 None of the self-regarding, self-justifying gluey tone that I despised in Gone Girl and Dare Me. More like Michael Connelly's Harry Bosch novels. In the garden, the Peony is blooming. Just gorgeous and luscious. I just finished listening to this novel ; downloaded it from the public library. I listened to it because it is up for an Anthony Award for best mystery novel of the year. 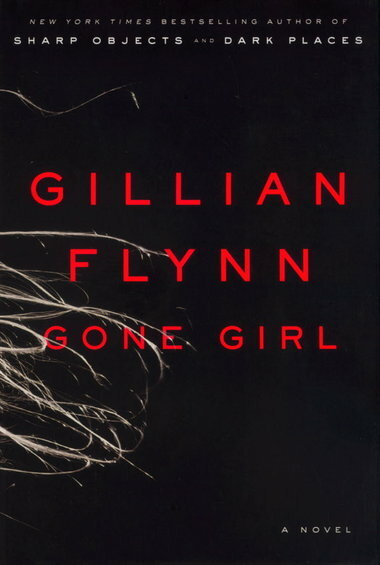 I have also read/listened to Gone Girl, which I wrote about in an earlier entry, and The Beautiful Mystery, which I loved. I haven’t been able to find the other two yet. My vote would go to The Beautiful Mystery, without question. 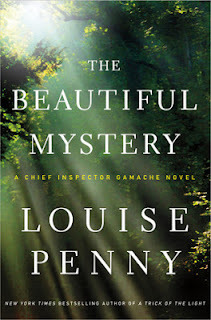 I love the way Louise Penny writes. I love her detective, Armand Gamache, his wife, his second in command, and the whole troupe of characters who populate Three Pines, a village in Quebec in which many of the novels are set. The Beautiful Mystery, however, is set in a trappist-like monastery far in the Canadian wilderness. The novel is about Gregorian Chant, about monastery life, about jealousy and politics and love. It is so far above the other two that I find it difficult to think of the three of them in the same category. I listened compulsively to Dare Me, I confess. She’s quite a good writer. She takes a fairly ordinary plot and applies it to a topic no one seems to have treated: the culture of Cheer… cheerleaders. I admit it: I am an old fogey. Fogie? 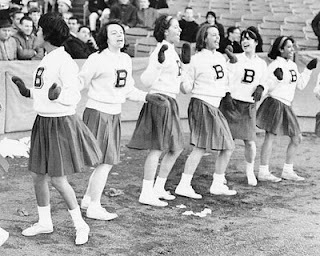 I remember the cheerleaders in my high school in the mid-sixties. Then, I remember the cheerleaders at the little coed Catholic high school where I taught in the early eighties. The two groups didn’t seem that much different from each other. I’ve understood for a while that cheerleading has evolved into a real athletic enterprise – really, today, it is a form of gymnastics, with all the vigilant weight monitoring and rigorous exercise that that entails. But these girls go way beyond that. The narrative voice is very convincing and lively. I found it even moreso because I listened to the novel. The dialogue is energetic, aggressive, violent, and unrelenting. 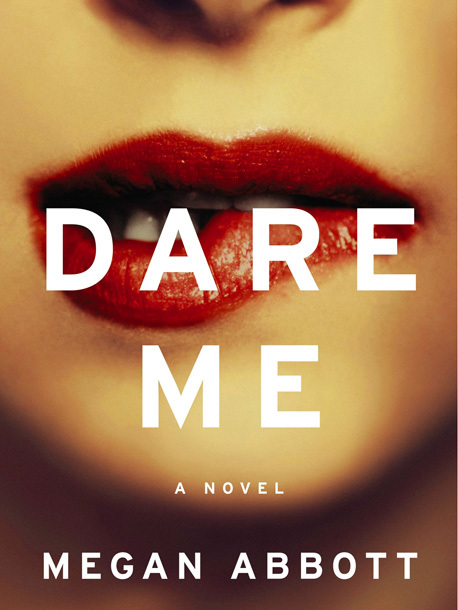 Gillian Flynn recommends Dare Me as one of her favorite books: "Lord of the Flies set in a high-school cheerleading squad. ... Tense, dark, and beautifully written." I am not in the least surprised that Gillian Flynn ( author of Gone Girl) likes Dare Me. The girls are so cruel to one another- vicious, really. And the culture of texting exacerbates the malice. The power plays between the evil Beth and the other characters just made my skin crawl. To portray a twenty-seven year old married woman and mother like this really disturbed me. The narrator, one of the main cheerleaders, is too young to see the boundary transgressions that the coach commits: smoking and drinking with her underage squad , inviting select members to her home, and ultimately involving the narrator in aiding and abetting her love affair with the Army recruiting guy! The narrator has a huge “girl crush” on the coach, and never questions the ethics of any of the coach’s behavior. That is certainly true of the characters in this book, but is it true about teenage girls, and twenty-something women, in 2013? Say it isn’t so! Graduation weekend at Mount Saint Mary's. Baccalaureate Mass today. During the Mass, I was distracted by figuring out that I probably knew more members of this senior class than any other class I've ever had at the Mount. Because of the courses I teach... 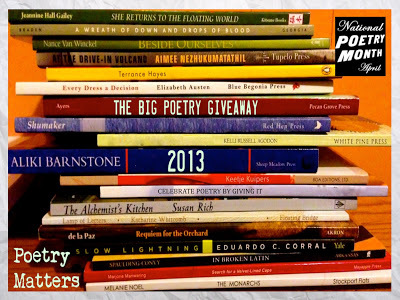 In these four years, I've had members of this class for Freshman Seminar, two rounds of Mod Civ, three rounds of Women of Faith, three rounds of Intro to Poetry, one round of Intro to Short Fiction, one round of Christian Spirituality, one round of Creative Writing, and one round of Poetry Writing. And that may not be an accurate count! I have loved this class - just a great group of human beings. Very few grade grubbers or slackers. Wish I had taken photos of them over the years, especially that group I had as Freshmen. They were spectacular. Also, on this day, I heard from my family back in my home town: my cousin ( technically, my first cousin, once removed) contacted me to let me know that his aunt, my first cousin, died last night. I hadn't even known she was sick. 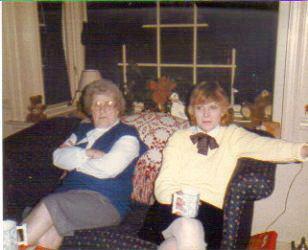 She's on the right, sitting with her mom... who died about 2007. It's spooky to think they are both gone. It's spooky to think that this cousin died so much younger than her mother or my mother or her father or my father. A vivid memory of her took place when she was in the eighth grade and I was in the first grade, at Saint Agnes School. I had sustained a wicked brush burn on my leg a few days before, and in the playground this particular day, while playing tag, I had knocked off the large scab and as a result had a lot of blood running down my leg. Someone - probably the sister on recess duty - carried me in to the eighth grade classroom and sat me on the large high window sill. This cousin - my cousin Barbie -was right there, taking care of me. I wasn't really very hurt, but the blood made it dramatic. I loved all the attention, especially hers. I attended this woman's graduation from Cabrini College, her wedding, held her firstborn son in my arms when he was a few weeks old, and then became friends with that same son when he was a freshman in college at the Citadel in Charleston when I was one year into my mission time in that city. My care for that boy endeared me to Barbie, who always took me out to dinner with them when she and her husband visited their son. I also attended the wedding of Barbie's daughter sometime in the 1990'a. I also attended the funeral of this same son in 2000. 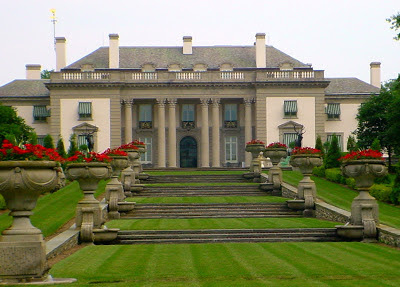 I also stayed at her home a number of times over these years when my parents no longer lived in West Chester. I hadn't seen her in about a year, and didn't even know she was sick. But she was like that ---kept things quiet. What a shock, and what a loss. Another large piece of my family history dies with her, too. Many other small get-togethers over the years - her mother and my mother and she and I spending a Saturday together at Cape May, for example. This death has really hit me hard. 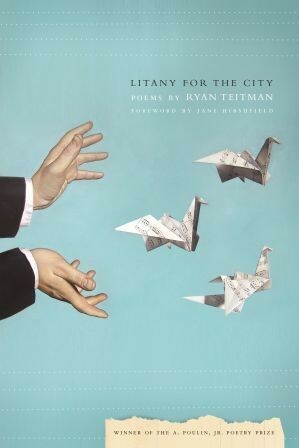 This past Friday, Ryan Teitman came to read his poetry to us at the Mount. I loved his poetry! in the shape of a cage. and heave it from the shore. but never to the same person. by its clean, pink gills. into a baby's empty pram. against the water, in an endless, artless psalm. Not much time to write these days. 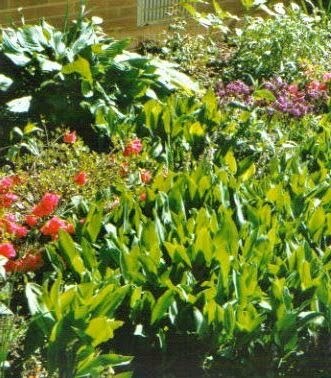 The garden is in dire need of my attention... lilies of the valley are taking over everything. I don't know what happened to the Cardinal Flower. Will try to get back in another day or so. Thanks to everyone who put their names in the hat! There are many. 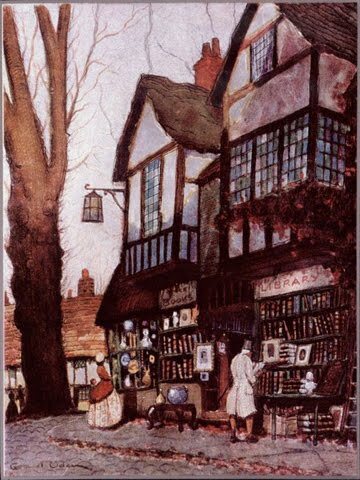 Here is one of my favorites: "Claudy Banks"
I went up to this fair maid and took her by surprise. I owned she did not know me for I was in disguise. But don’t depend on Johnny, for he’s a false young man. ‘And it’s six long months I’m bitter, since Johnny left the shore. He’s crossing the wild ocean where foaming billows roar. He’s crossing the wild ocean for honour and for gain. With a wringing of her hands and a tearing of her hair. Then when he heard her loyalty, he could no longer stand. He took her in his arms, saying ‘Betsy I’m the man. I'm looking on YouTube for the version I like - apparently these lyrics have been put to many musical settings. When I find it, I'll post the link.